You don’t need to be an experienced art collector, nor an expert in contemporary art to find a piece to fall in love with. 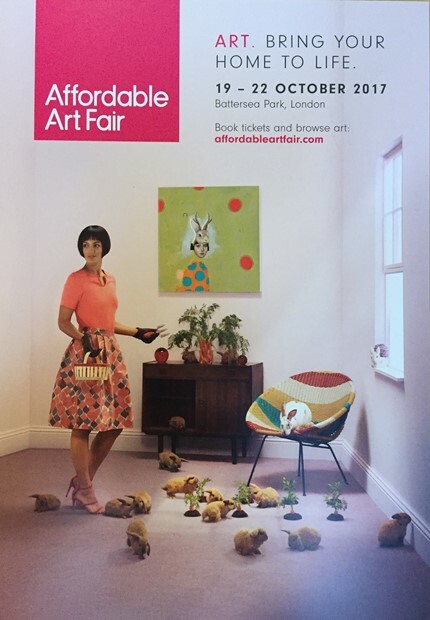 Join us at Affordable Art Fair's Autumn edition 2017, to discover our handpicked selection of original and contemporary paintings, editioned prints, photography and sculptures by notable names and emerging talent. This year we will be showcasing Sophie Derrick, Mark Beattie, Philip Hearsey, Lee Herring, Claire Luxton, Jad Oakes, Gareth Griffiths, Johannes Nielsen, Michael Wallner and Johannes Nielsen.